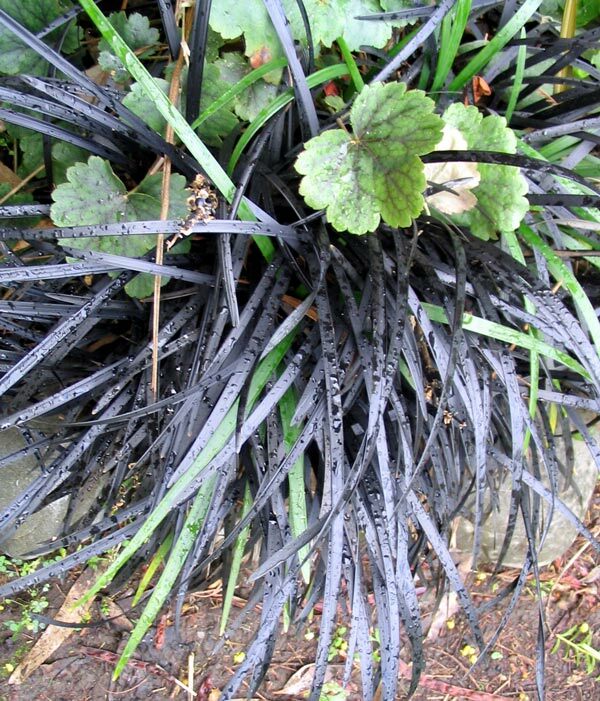 Often this grass is grown alongside white walls and light pavers for maximum contrast. In my garden things are more subtle, and the neighbouring Heuchera is possibly too subdued to be the ideal companion. I have to remember to cut out any parts that have reverted to plain green. This grass bulks out quite slowly. If I was a rich gardener I'd be tempted to buy in huge amounts for a mass planting.